Toumast translates as 'identity' . . .
During the past decades, Touareg society underwent transformations that deeply modified their pastoral and trading economy as well as their political life. At the beginning of the 1960’s, while the Touaregs expressed in vain their refusal to be attached to the states of Niger or Mali, the decolonization deprived them of true independence and their territory was parted between different states. The authoritative and repressive policy of the governments of Niger and Mali radicalized furthermore their positions. In the 1970’s and 80’s the region was struck by several periods of drought, forcing the touareg population to exile to southern Algeria and southern Libya. It then became customary to call the young Touaregs looking for work, ishumar, a term borrowed from the French « chômeur », meaning unemployed. Going from city to city the Ishumar lived an itinerant life along with the tormented story of the Touareg Liberation Front that was growing clandestinely. Their particular culture is forged outside of the camps and the cities, far from their families. The Touareg Liberation Front launched an offensive in 1990 against the northern regions of Mali and Niger. The conflict officially ended in 1992 in Mali and 1995 in Niger when the regimes became more democratic. 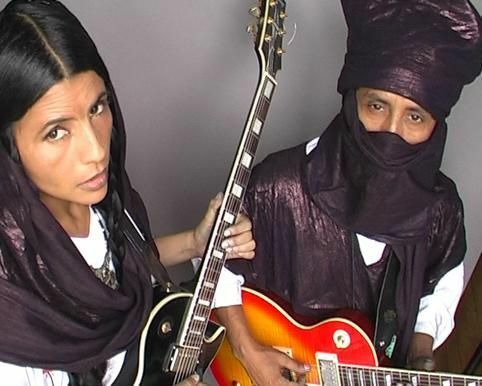 The first ishumar band, founded in Libya and Algeria around Intiyeden and Ibrahim Abaraybone, is called Tinariwen. They draw their inspiration from traditional melody lines. Their militant lyrics describe their adventurous way of living and formulate vibrant calls to mobilize the younger generation that remains in the country. These itinerant musicians perform during night festivities in shantytowns. 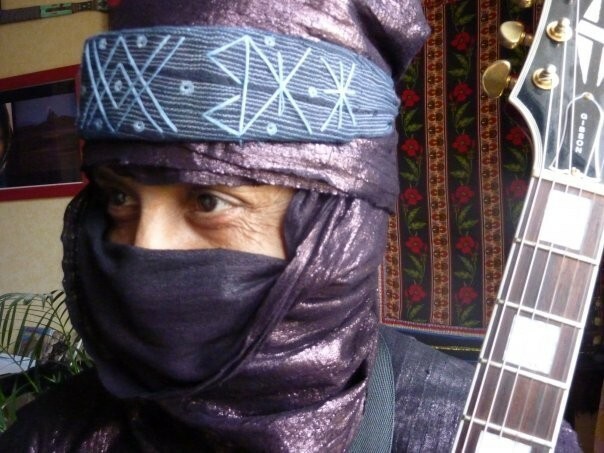 Their songs are then recorded on tapes, duplicated, exchanged or offered, spreading the word of the Ishumar in all of the touareg region, in camps as in cities. Toumast was founded in the 90’s by Moussa Ag Keyna. In 1993, after years of combat and resistance, Moussa was severely wounded and evacuated to France, later joined by Aminatou Goumar. 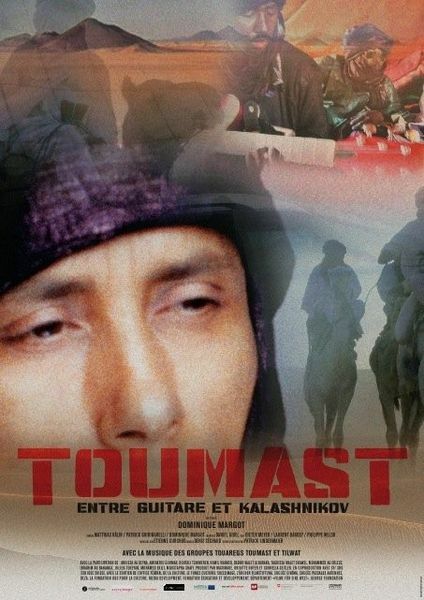 TOUMAST – GUITARS AND KALASHNIKOVS retraces a part of recent history of the Tuaregs. Theirs is a fragmented history made of suffering, wandering, revolt and injustice - but also of travel, comfort and hope. A character guides us on these chance and complex trajectories: Moussa ag Keyna. Nominated for the "Cinema for peace Award for Most Valuable Documentary Berlin 2010"
"In this second album, Moussa Ag Keyna and Aminatou Goumar, are reaffirming their Touareg identity, reaching more people in a larger scale. 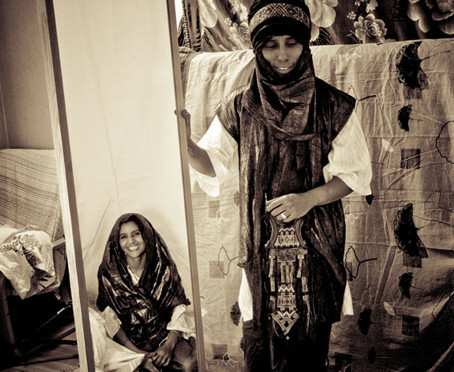 Through authentic traditional singing, with her tinde (percussion instrument), Aminatou recreates the ambiance of a nomadic encampment. In the same sense, Moussa uses the international support of an electric guitar. What Moussa would like to convey through his music is for you to discover his people, their habits, culture, the desert, their hopes and their despairs. Moussa sings for peace, their fight for freedom and diplomacy. The major goal is to win the right to exist in harmony on their own land.